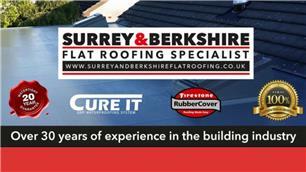 Surrey & Berkshire Roofing - Roofer based in Bracknell, Berkshire. Surrey & Berkshire Flat Roofing are roofing secialists based in Egham and Bracknell. We cover Surrey, berkshire and all surrounding areas. We are a well-established company, constructing anything from Flat roofing, Roof replacements, Chimneys and Roofing repairs within the domestic and commercial markets. For a full list of our services please click on the 'Services' tab or the link to go to our website. All our staff are punctual, tidy and polite. Surrey, Berkshire and all surrounding areas.